Installed my JCW shift knob and floor mats. I bought a short sport antenna when I was at the dealer yesterday too. I was just explaining to BP and Keith yesterday how I never drove with my ZHP armrest down. Something about my seating position and the position the armrest was in made shifting really annoying with it down. I looked into removing it but just propped it up all the time instead. I thought your car was an auto? I'll be honest, I like my armrest and cup-holders. I don't eat or drink in my car, but the first cupholder is a great spot to keep my phone, and the second is where I keep a pack of chewing gum.. I normally drive with my hand resting on the shift knob, so I rest my elbow on the armrest.. When I go for a spirited drive, then I prop the arm-rest up..
You willing to part with your performance step knob? 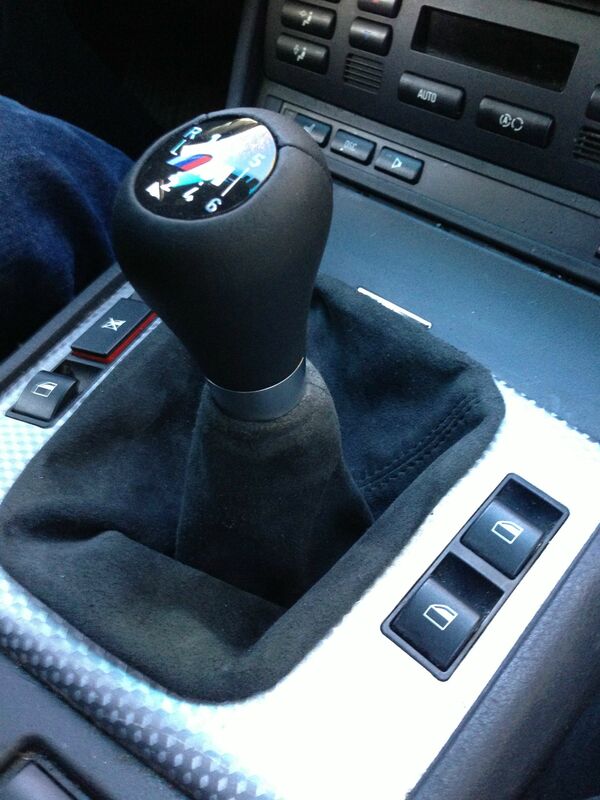 Thanks bud, I need to get a new insert made for the shifter with the step shift pattern. Installed my F10 M5 knob. More info below and installation. 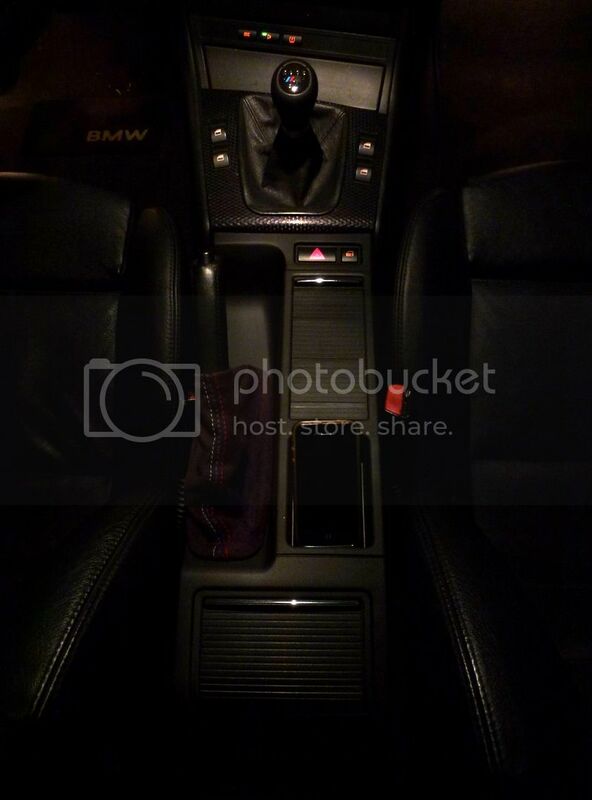 Also installed the auto dimmer rear view mirror from the XI to replace the manual rear view mirror the ZHP came with. I don't believe the 03 ZHP came with premium package so it is all coming from the XI. More pictures of that thing now! Dirty or not!!! !